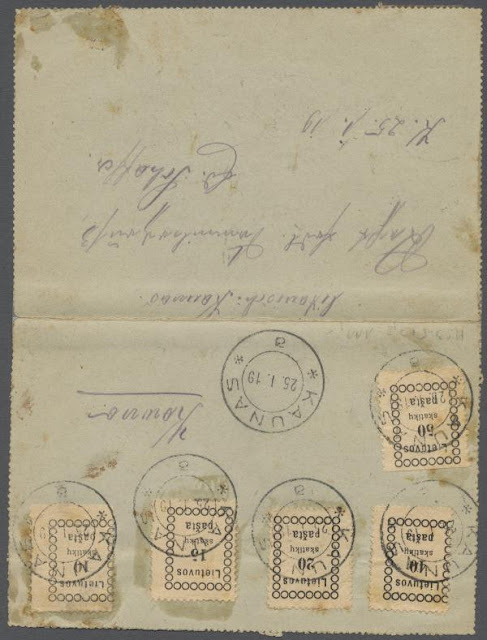 1919, German fieldpost letter franked with Vilnius issue Scott 3–6 posted from Kaunas and sent from "KOL. PR. 169 LANDW.-BRIGADE" to Oberhausen, Germany. Very rare. Auktionshaus Christoph Gaertner - Auction #18, June 6 - 10, 2011.